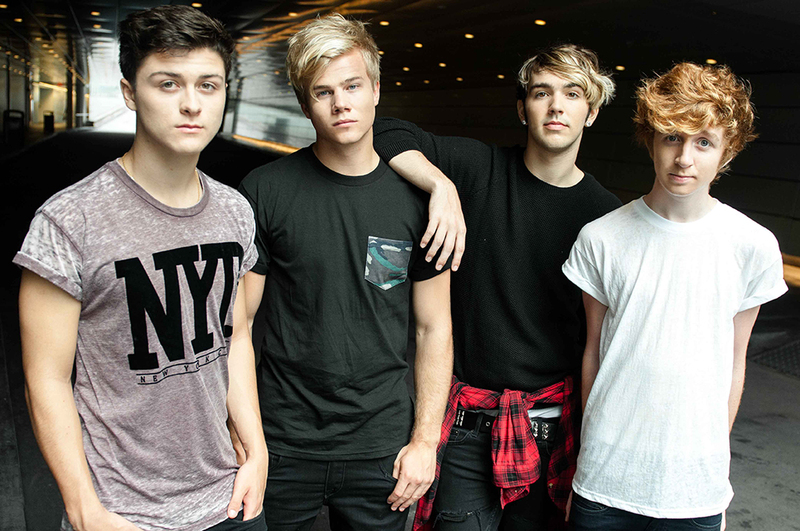 Hollywood Ending is a pop-rock band formed in the summer of 2011. They earned their first break on Season 4 of Radio Disney’s Next Big Thing competition finishing in 3rd place. Since then, Hollywood Ending has already toured the US, Canada and parts of Europe and I got the chance to see them perform while supporting McBusted at the end of May. Before the band actually came on stage, a video was shown on the big screen of the band singing a song that I can’t say really grabbed my attention but as soon as they came on stage and I heard their first harmonised note, my ears perked up. Unlike some bands, there is no definite lead singer. Throughout the performances of three songs, I heard each band member’s voice singing individually and they’re all talented vocalists; but when their voices are put together they sound even better. Their songs sounded very American-pop/rock. While trying not to compare them to anyone, if you enjoy Blink 182 or Bowling for Soup, you’re sure to love Hollywood Ending. They have the same feel of catchy songs with a dominant electric guitar. Each song was very memorable and after a few listens, I know most people, including myself, would be singing along. I like when a band can perform a song that is unknown to the audience, but can still keep them interested and wanting to sing along. If they sound like your kind of music, check out their most popular hit on Youtube with over 1,500,000 views and counting. It’s a cover of Justin Biebers ‘Beauty and the Beat’ and you can get a feel for the band and what their style of music is. The boys are back in Wales in July performing in Pontypridd Park at ‘Ponty’s Big Weekend.’ Get your tickets at www.pontysbigweekend.co.uk. Other performers in the show are Union J, Sam Bailey, Rough Copy and the Loveable Rouges. Enjoy the Music! Georgia Stacey.